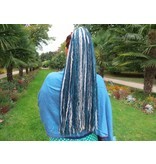 Home Silver Mermaid Dreads - Special Edition! 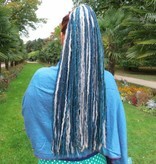 Silver Mermaid Dreads - Special Edition! 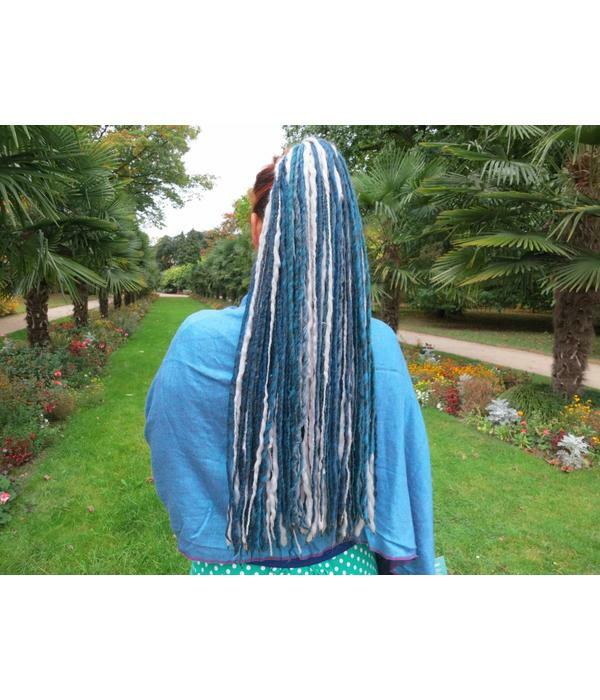 This Silver Mermaid dread fall is one of our special edition dreads hair extensions which means that we have limited material for about 30 pieces only, also depending on which dreadlocks sizes are ordered. 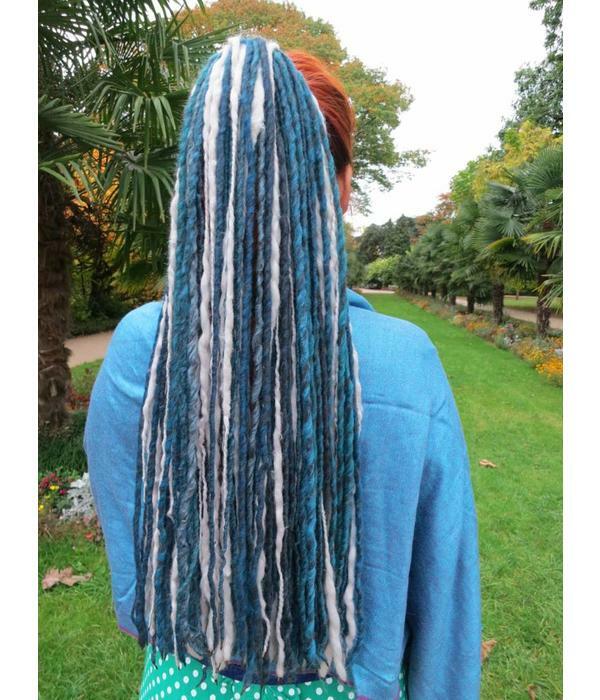 Available from middle of October, 2016 - this model could be sold out within a month or be available for a whole year, depending on how popular it is. 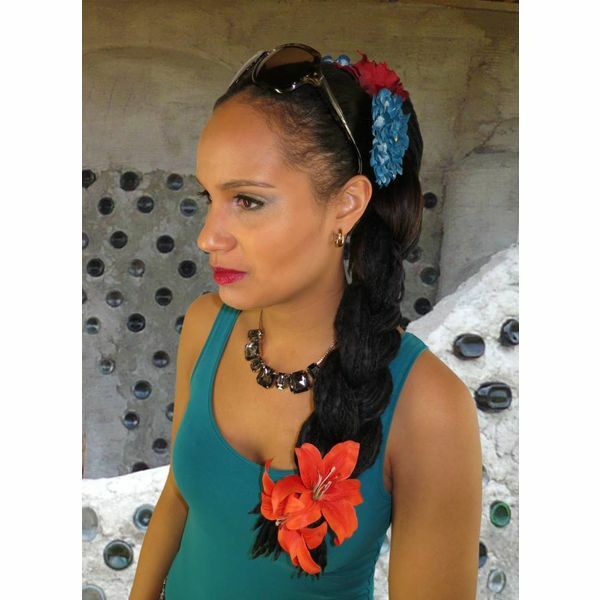 We start limiting sizes and show for how many pieces we still have material in stock when material gets close to running out. 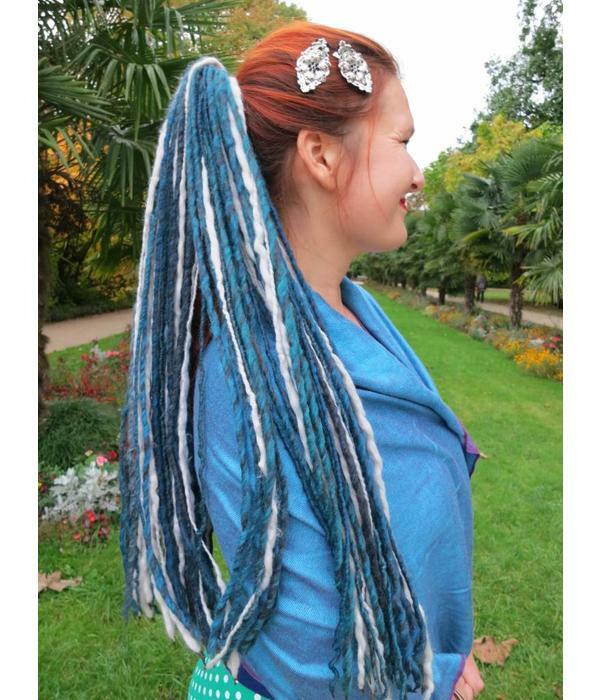 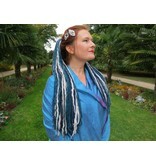 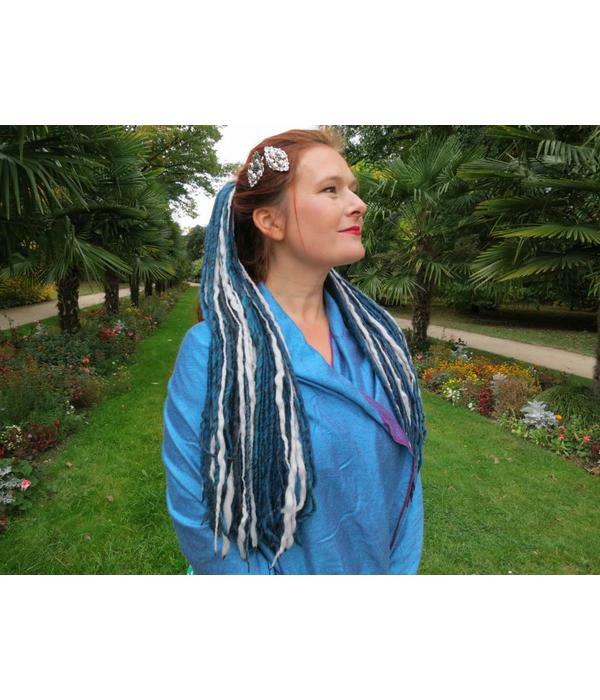 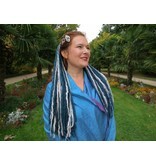 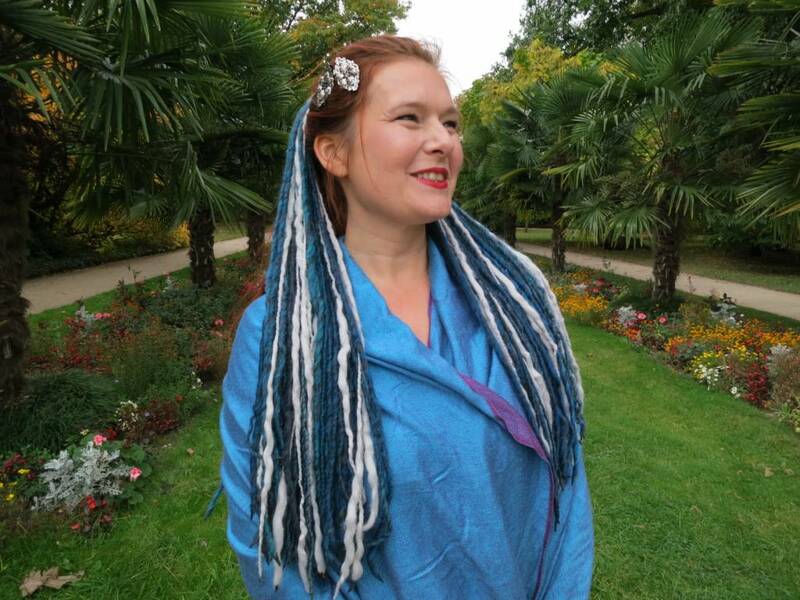 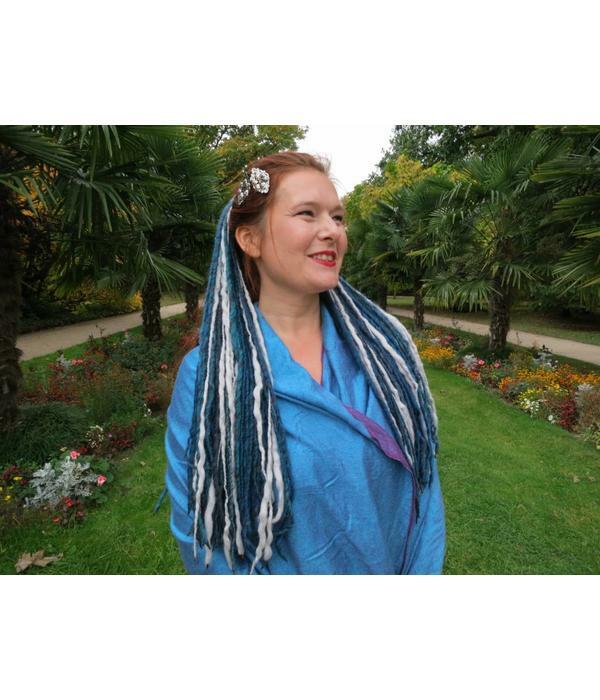 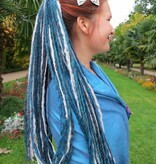 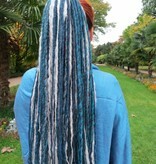 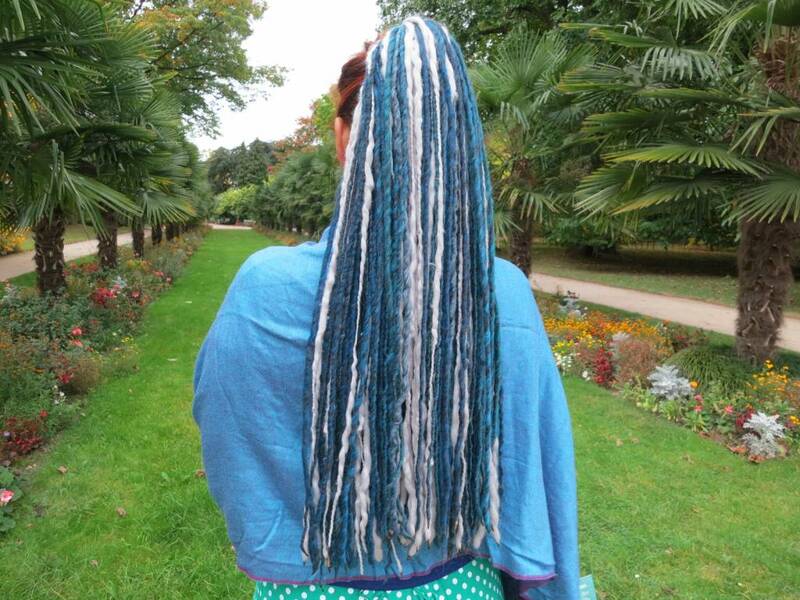 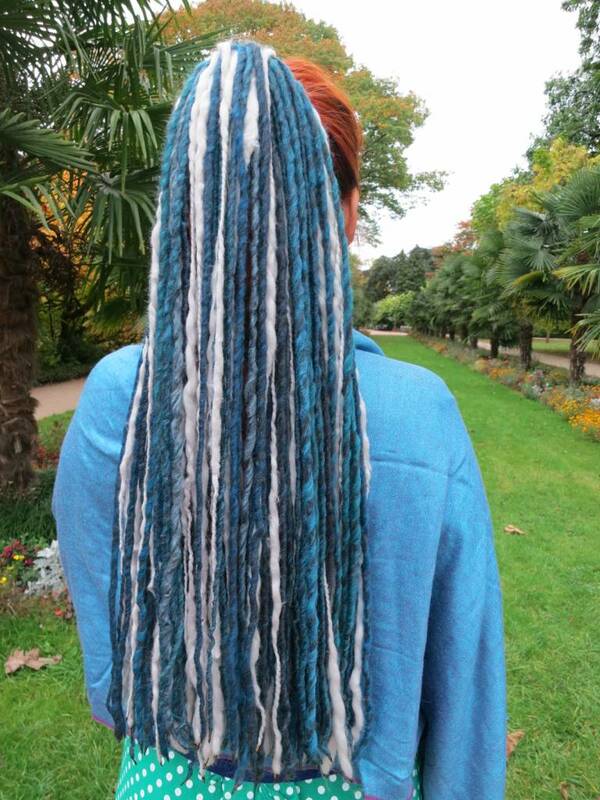 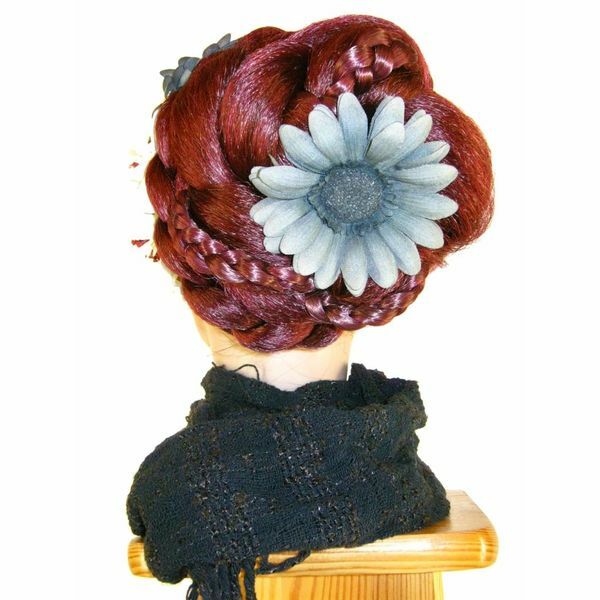 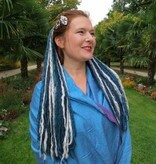 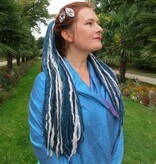 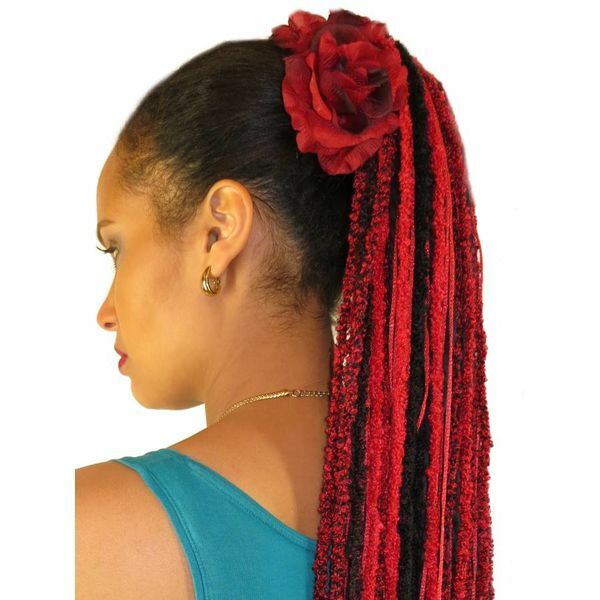 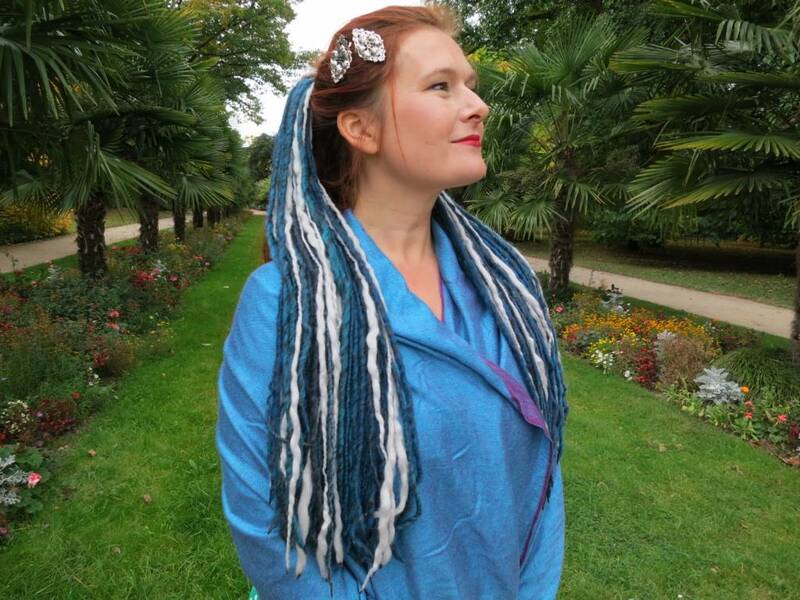 Silver mermaid dreads are made of super soft yarns, very comfortable to wear. 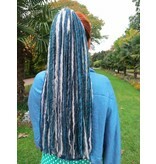 These yarn dread falls have a wonderful color mix of teal, blue and dark turquoise and a bit anthracite mixed with some silverish-lightgrey highlights! 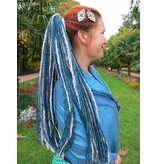 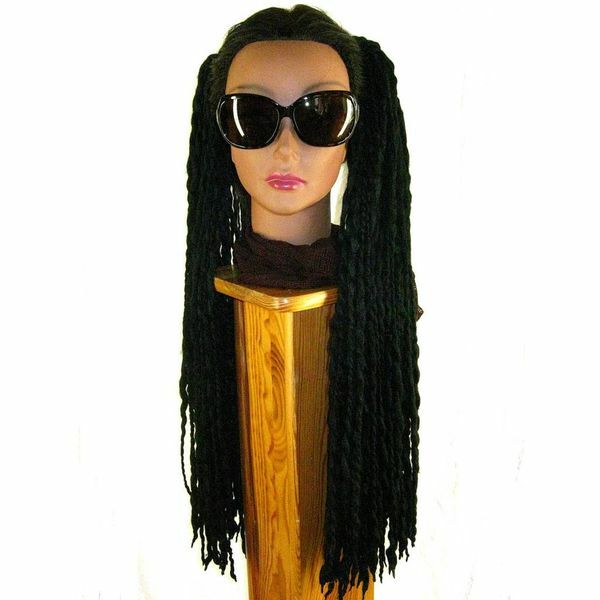 Perfect for mermaid and siren costumes, but also for colorful boho stylings and Goth look!